Emery Francis Toups was born in Abbeville on Nov.11, 1919. His mother was Ellia Guidry and his father was Dallas Joseph Toups of German descent. In 1941, Emery was drafted and then later signed up for the United States Air Force. He trained as World War II Ground Support at Keesler Field in Biloxi, Mississippi. Before going overseas, he married Olga Marie Langlanais from Youngsville. When he finally departed in 1942, he did so from Harding Field in Baton Rouge. His fighter group, the 347th Fighter Squadron, was first stationed in Casablanca, Morocco, Africa, then to Algeria, and Tunisia. They then crossed over to Sardinia, an Italian island and then to Corsica, a French island. From there he went to Italy near Rome and settled in Pisa, Italy until the war ended. During the war, he met and befriended many Europeans, some who have become dear friends of his. Since then Toups has made over 17 trips to Europe to visit his new family in Italy, Sardinia and Africa. There is one man in Italy that is especially close to Toups. The man, his wife and a nine month old baby were forced to hide in the mountains because they were afraid the Germans would take them for slave labor. When they came back, the father went to the American soldier, Toups, for a newly developed miracle drug that did not exist in Italy called penicillin. Toups managed to get his hands on some penicillin and give it to the baby. Today, the baby is a grown man and when Toups was invited to their new son’s baptism, Toups accepted. After the war, Emery decided to go to Houston to learn how to make propellers. He commuted for six months to Houston on Hwy 90, at no pay, and then opened a propeller shop in Abbeville with one employee. At that time he was employed by Texaco at the Henry Hub. As business improved, Toups hired more employees until he had nine full time employees while he still worked for Texaco for $1.07 per hour.. He quit Teaxaco in 1963 to devote his energies full time to the propeller shop. At 83 years of age, Bichon tells everyone that he is retired, but he is in the office everyday. His successful business of Toups Propellers is run by his son-in-law Gerry Terpening and his grandson Bill Terpening. In 1963, Toups became President of the Abbeville Chamber of Commerce. He is a member of the Woodman of the World, American Legion and Rotary Club. He is a life member of the VFW, the Abbey Players, Center for Cultural Alliance, Boys and Girls Club of Acadiana, Confederate Air Force and CODOFIL. Toups has been recognized by the First National Bank of Abbeville for outstanding contributions to the Community. 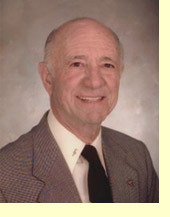 In 1999, Bichon was honored by the Abbeville Cultural and Historical Alliance by awarding him as “Pioneer of the Year”. He is only the second Louisianan to ever receive the Humanitarian Award from Quebec, Canada, the other receipient being the late Jimmy Domengeaux. However, his greatest accomplishment is the creation of the Giant Omelet Festival in Abbeville. Toups attended a similar Festival in France and thought this would be a great event for Abbeville’s Fench Market Festival. In 1984, he convinced the Chamber to host the first Omelette Festival and today Abbeville is only one of 6 locations world wide that host the Omelette Festival. Toups negotiated with the local trade school to build a massive, twelve foot steel skillet designed to hold over 5,000 eggs. Abbeville has the distinction of being the only city in the United States to host an Omelette Festival. Each year members from Bessieres and Frejus, France; Granby, Canada; Malmedy, Belgium; and Dumbea, New Caledonia attend the Festival. The Giant Omlette Festival has rekindled a special pride in Vermilion Parish for French Culture and has brought millions of tourist dollars into Vermilion Parish drawing over 20,000 tourist each November.